Thank you! 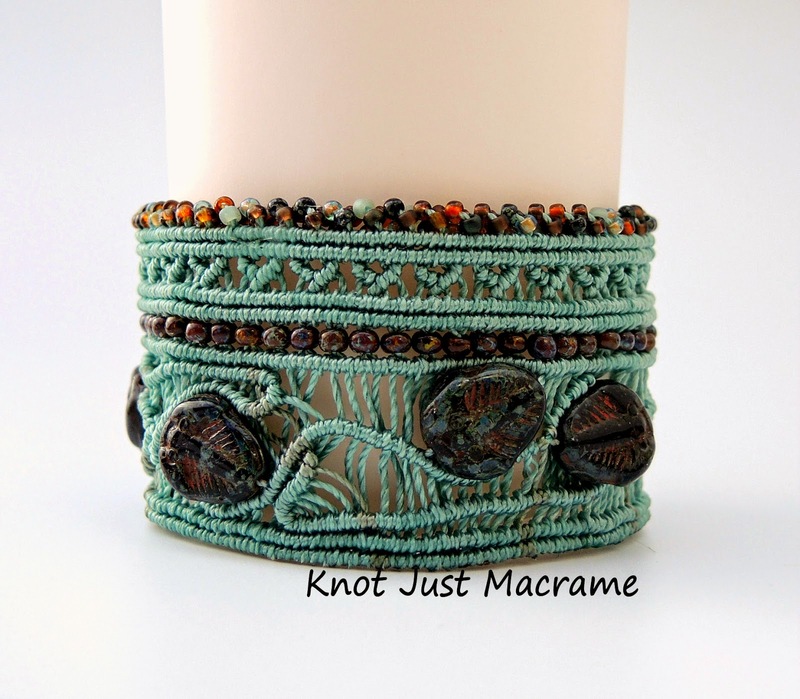 I was admiring your scarab bracelet with the bead weaving and leather and basket weaving feel - such a cool idea! Your cuff is great Sherry. You chose the size 11 beads really well. I have some trilobites from when my son lived in Utah. I just have one tiny real one - I would love to have a bigger one, too. Again, an amazing piece of work. I love my bracelet that you made me. This is such a great piece that has your design style written all over it. Love your work. Love it. Thanks, Jean, and thanks for joining us! Sherri, this bracelet is amazing and what a fun subject. I love this, it is also beautiful. Your work is wonderful as usual. What a privilege to be learning from you. Thank you. Absolutely gorgeous! 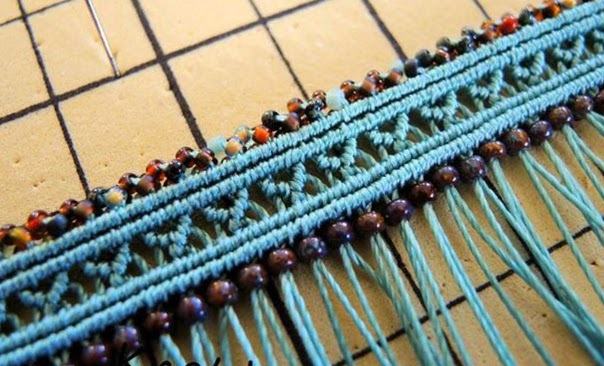 It always amazes me how you take all of those tiny bits of thread and create such wonderful designs, I love it! Sherri, this is just beautiful! I like the riff you did on the leaf motif in some of your recent bracelets, and it does look like water swirling around the trilobites. Who knew fossils could look so elegant? Trillos!!! I so love them. Wonderful cuff design! I love that and the title is perfect. So cute! Very special. Loved the humorous Etsy shop you referred me to. Aren't the items descriptions the BEST!? Czech Picasso trilobites for the win! They are cool - I mean, your whole design is lovely! I really like the colors! Will you be selling a kit or video on this one?